Kong Italy has manufactured gear for mountaineering and work at heights for years, and their carabiners are popular with tree climbers and arborists as well. We stock a selection of Kong carabiners that have proved popular with climbers, and can special order Kong biners that aren't shown below. Kong XL Steel Carabiner with ANSI Gate New in 2019! 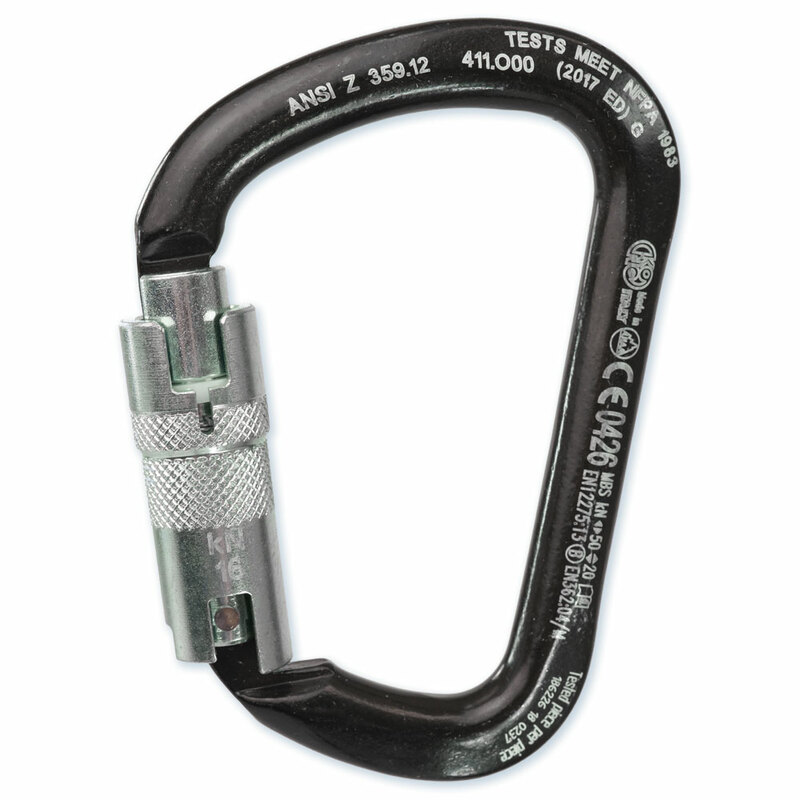 Carbon steel carabiner with Auto Block sleeve Reinforced sleeve offers greater resistance in the case of lateral stress to meet ANSI guidelines. NFPA (G) 1983, ANSI Z 359.12. Kong Steel Ovalone DNA Carabiner New in 2019! Special "helical-shaped" connector with a twisted carbon steel body and circular bar, a must-have when an "offset" load is required. It permits 90° rotation of any connected device (descenders, rope clamps, fall arresters, etc. ), optimizing the operating alignment. Kong Steel Ovalone INOX Carabiner New in 2019! 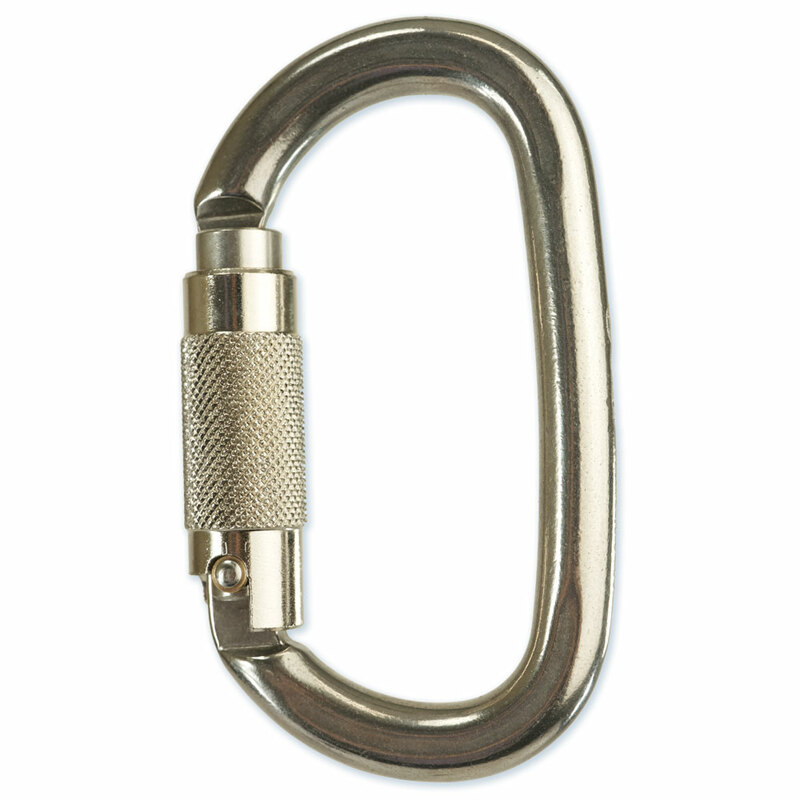 Oval carabiner made of stainless steel, wide-opening, fitted with Auto Block sleeve 3 movements. Max load of 27 KN. Conceived for heavy duty applications and for connection to structural anchor points, lifelines, etc. Large, asymmetrical D carabiner with machined aluminum gate sleeve. 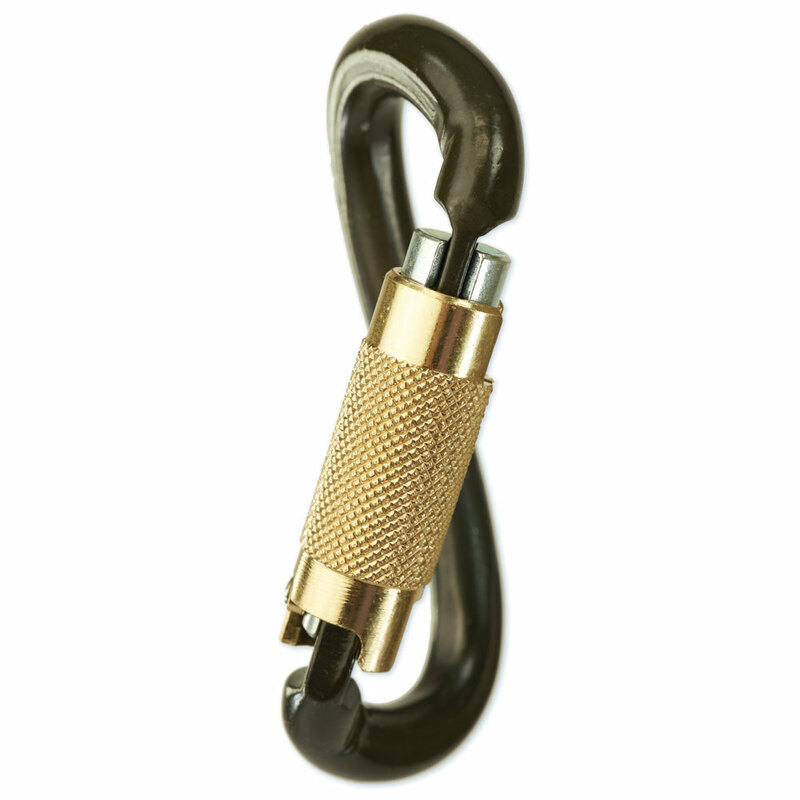 Popular, large asymmetrical D carabiner with screw-locking gate. Quick to open, ergonomically shaped screw-locking carabiner from Kong. Large, asymmetrical D carabiner with screw-locking gate. Micro carabiner is handy for attaching gear to your saddle or for use with a throw line and throw bag with loop on it in isolating crotches. Not rated for climbing! Popular, large carabiner with a bent gate is ideal for holding saws on your saddle. Popular, large carabiner with a bent gate is ideal for holding saws on your saddle..